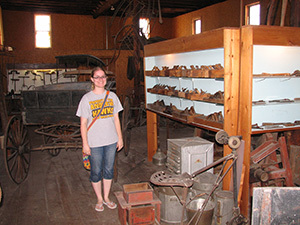 Museum Studies students at Luther College have interned at a wide variety of regional and national museums, archives, and historical societies. A significant requirement of the museum studies minor, the internship course provides students the opportunity to work with museum professionals to further explore potential career pathways in archives, museums, and cultural centers. Students can explore areas of museum education, curation and exhibition support, collections management, as well as business and communication. Here we feature a variety of student internship projects that span local opportunities on campus and those at regional and national museums. The Porter House Museum preserves and interprets its structures, grounds, and collections to inspire diverse audiences to share in the educational and recreational benefits of learning about Adelbert Field Porter and Grace Young Porter in the context of Winneshiek County history and Mr. Porter’s love of the natural environment. 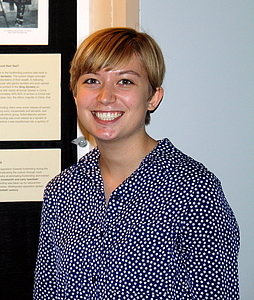 During Steffenee’s internship she worked as a docent giving tours of the museum. In addition, she created various museum education resources for the Porter House such as a worksheet for children and a visual aid demonstrating the butterfly mounting process that Bert Porter would have used. This was an exciting experience that helped Steffenee to develop skills in creating fun and engaging educational resources. The National Archives and Records Administration (NARA) preserves and makes available the permanently valuable records of the federal government. In addition to its original location in Washington, DC, the agency has locations all over the country, including regional facilities and presidential libraries. 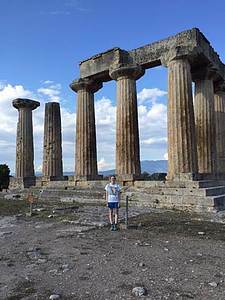 Andrea, A History major and Museum Studies minors, spent the spring semester in Washington, DC, as a research intern with NARA's Office of Education and Public Programs. 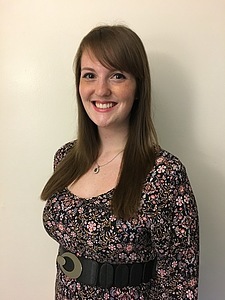 She split her time between researching materials in both the online catalog and physical collections, and helping with educational activities such as those in the Boeing Learning Center and museum tours. This has been a fantastic experience being part of NARA's work to promote democracy through use of their collections and has helped her develop knowledge and skills useful for entering the museum or archival field. The Vesterheim Norwegian-American Museum is dedicated to the preservation of the immigrant story and is known as one of the most comprehensive museums in the United States dedicated to a single immigrant group. 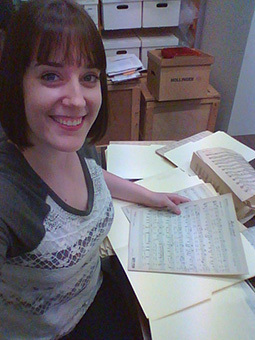 For her museum studies internship, Taylor spent the month of January in the museum's archives working with the personal papers and music transcripts belonging to the late Sigvart Hofland, composer and former professor at Luther College. Taylor surveyed, processed, sorted, arranged, and digitally cataloged Hofland's collections for the museum archive in order to make it available for research and use. This was a fascinating experience that only furthered Taylor's interest in pursuing a professional career in archives and special collections. 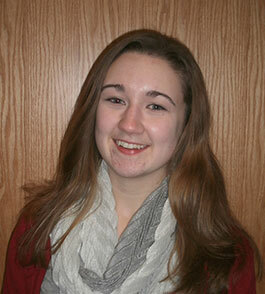 Emily England at her Vesterheim internship. The Vesterheim Norwegian-American Museum shares and preserves the living cultural heritage of Norwegian immigrants to America. 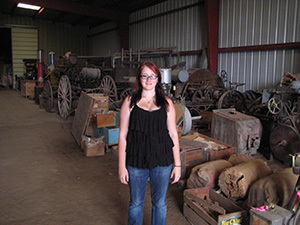 Emily’s internship was supported by the Silos and Smokestacks National Heritage Area, which seeks to promote and preserve the story of American agriculture by assisting museums and various other cultural sites with agricultural components. Most of her time was spent on the third floor of the historic mill by taking an inventory of agricultural implements and tools, making the collection more accessible for research and exhibition. At the end of her internship, Emily was able to reunite a number of stray pieces with their original catalog records through diligent research although many of them resembled scrap wood. 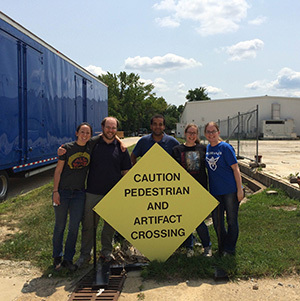 She feels this internship gave her a great deal of collections management experience, taught her sufficient inventorying skills, and helped her understand how to work independently on a project from start to finish.